There is no secret weapon when it comes to weight loss. It really does boil right down to the basics, nourish your body! Let me ask you a question. Do you find yourself uttering the words “it doesn’t matter what I do, I just can’t lose any weight?” If this sounds like you I know you’re beyond frustrated. I know you’re feeling stuck and just don’t know which direction to go in. Over the years we have been under the impression that restricting calories, and counting calories was the way to weight loss, meet goals and find success. But now there is an entire new way of thinking, now we are focusing on YOU! Nourishing you, healing your body, taking care of stress and focusing on the things that really matter…not counting calories. I’m guessing that most of you who cannot lose weight to save your life also struggle with other issues such as fatigue, depression, insomnia, maybe you’re feeling moody, noticing more aches and pains, possibly suffer with GI issues and the list may go on. By focusing on changing some behaviors and habits you will see how your life can change including losing some of those unwanted pounds. We are going to be looking at food differently today, we are not looking at food in terms of numbers but in terms of nutritional and metabolic value. Here are 5 priorities to consider when your goal is to achieve and maintain a healthy body weight. Being in a chronic pattern of high inflammation can lead to all sorts of health issues such as high cholesterol, heart disease, type 2 diabetes and more. A side effect of chronic inflammation in your GI system or what we like to call your gut is weight gain. How does this happen? When your gut is inflamed calcium and sodium enter surrounding cells. This causing them to hold water. It’s like when something so tiny gets in your eye but causes it to immediately water. The tissues around your gut are now drawing in water as it tries to flush toxins out. It seems when you’re inflamed it’s a no win situation. All the extra water can cause bloating and lowers the function of the cells energy. This can cause the body to feel sluggish which in turn may be causing that chronic fatigue you’re feeling. If you can believe it what you’re experiencing is “fake fat”. You might think you have gained 10-25 pounds of fat but in reality it’s water-logged tissue. You can’t correct this with conventional “weight-loss diets” you’ve got to really take a look at what you’re eating and make some changes. One of the biggest culprits of chronic inflammation are processed foods. But you also need to consider fast foods, high sugar and fat foods, soda’s (diet or not) and alcohol. The next time you reach for a diet soda and a low-calorie frozen dinner think again! What should you eat to decrease inflammation? Focus on Whole Foods and reduce your intake of processed foods and pre-packaged foods. Think about using more onions, turmeric, red grapes, green tea, berries, dark leafy greens and wild-caught cold water fish. The great thing about the body is that it’s resilient and can rebound meaning…you can undo what you’ve done. Keep Your Blood Sugar In Balance. Simple carbohydrates such as cakes, cookies, candy, soda’s, refined sugar etc can really pack on the calories for many people and that’s because they lack nutrients, plain and simple. The 2 nutrients that suffer the worst are fiber and plant protein. When you eat simple carbohydrates it turns to glucose and enters the blood stream very quickly causing your blood sugar levels to soar. Now your body is scrambling to balance the load it just took on. Your pancreas shoots out insulin (your fat storage hormone) to help stabilize your blood sugar, but it only does this momentarily. You’ll find your energy levels fall, your hunger returns and you again reach for that simple-sugar based snack and the cycle starts all over. Long-term consequences of this can cause weight gain and insulin related metabolic syndrome that leads to type 2 diabetes. You can level out your blood sugar by changing what you eat. Focus on nutritious foods packed with healthy proteins and fats. Most importantly, make sure you are including a big dose of fiber. Use more whole grains, fiber-rich vegetables, fruits, nuts and beans. Don’t forget to include healthy, nutritious snacks as well. Hitting a brick wall, need some ideas on what to eat for a healthy nutritious snack? Fill out the form below to receive your free 20 quick and easy snacks that can work for travel. Feed And Heal Your Gut Microbiome. It’s plain and simple, you ultimately cannot maintain a healthy weight without cultivating a healthy microbiome. Are you asking what a microbiome is? This is where trillions of bacteria, yeast and fungi are housed in your gut. Your microbiome helps digest food and absorb nutrients. So you see, what you eat really does matter! 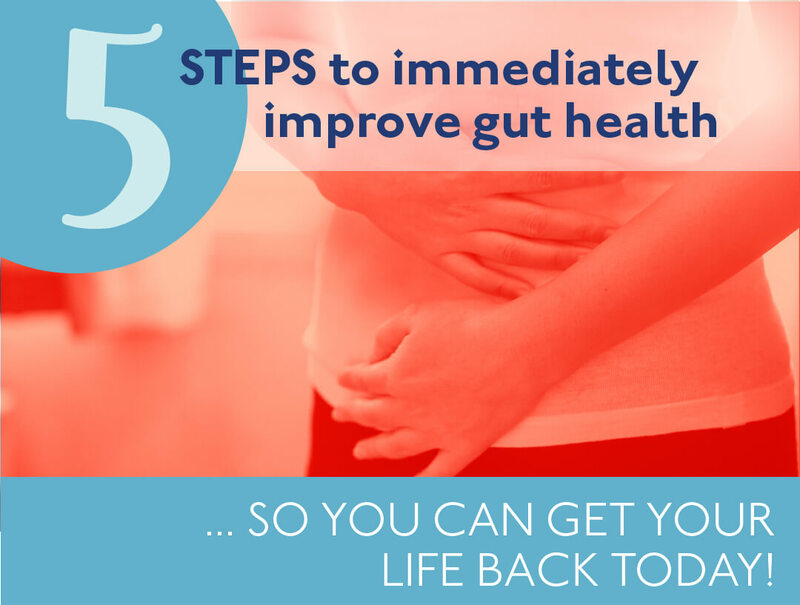 If you’re dealing with an inflamed gut, what’s next? You must work to feed and heal your microbiome. First, you want to remove any intolerances/sensitivities you may have. Many find that dairy and gluten can be food culprits causing symptoms such as gas, bloating, belching, diarrhea, gas, fatigue, and irritability. Second, you need to take a look at what you’re eating. Remove as much of the processed foods as possible. This includes chips, crackers, baked goods, some breads, fast foods, sweets, sodas, basically anything that contains artificial ingredients and preservatives. Toxins such as artificial ingredients and preservatives can disrupt the gut flora. Lastly, you must cultivate the garden in your gut by diversifying your diet. Eating the same thing over and over puts you at high risk for developing food intolerances/sensitivities so great reason to diversify. The other reason to diversify is that your microbiome thrives from the nutrients you give it. You will have a much healthier microbiome if you feed it a variety of plant based foods. Your main focus should be on nutrient-rich vegetables. Unfortunately, depression and weight gain often work together. So many people end up on anti-depressants which can cause further weight gain versus working on diet and lifestyle changes to improve gut health. Typically, when your mood is low you start reaching for those “feel good” foods like processed foods, heavy carbs and sweets. What you need is a good boost of serotonin not necessarily an anti-depressant. Did you know that 95% of serotonin, your feel good hormone, is stored in your gut? So that means the happier your gut, the better your odds are of having a good serotonin supply. Amino acids are the make up Serotonin, the most important one being tryptophan. While you can take a supplement to increase serotonin levels it is possible to increase tryptophan levels naturally. Foods that have high levels of tryptophan include eggs, cheese, pineapple, tofu, salmon, nuts and seeds and turkey. While eating these foods alone most likely will not give you a serotonin “boost” if you eat them with a serving of healthy carbohydrates like brown rice, oatmeal, or whole-grain bread you have a better chance at achieving that serotonin boost that you’re looking for. Other ways to boost serotonin levels are getting some type of movement into your routine. If your not sure where to start check out my blog Finding Fitness. Make sure you’re getting sunshine or light therapy daily and focusing on the positives in your life. Lastly, eating a high-fiber diet provides fuel for the healthy bacteria in your gut. More and more research is showing how healthy gut bacteria play a role in serotonin levels through the gut-brain axis. If you’ve changed your diet and you’re eating well and you have included exercise or movement into your daily routine but still can’t seem to lose weight then your hormones might be to blame. It’s not what you’re thinking though, I’m not talking about estrogen and progesterone. I’m talking about insulin and cortisol. As mentioned earlier, what you eat turns to sugar and it’s insulin’s job is to transport the sugar from your bloodstream to your cells for energy. Food controls insulin so what you eat can make a huge impact on your hormones. You have a better chance of keeping insulin balanced when you eat regular, small, nutrient-dense meals that include fiber. So the bottom line? More stress = more cortisol = higher appetite for junk food = more belly fat. The best thing you can do is counter cortisol by activating your body’s relaxation response. Start by getting good, quality sleep. Next carve out time in your day, even if it’s only 15 minutes, to reset and center yourself. Consider: some type of movement, meditation, eat lunch in the park, read, listen to music, take a warm bubble bath, get a massage, pray, call an old friend. Do whatever is going to make you feel good and destress! Keep in mind reconnecting with yourself can give your hormonal health the boost it needs. The next time you decide you want to lose weight think about setting aside the calorie obsession and the fat-gram fixation and focus on the strategies above. 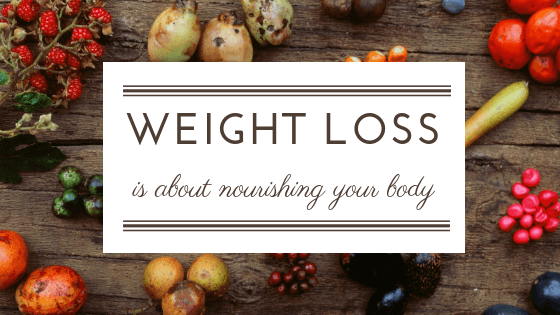 Nourishing and nurturing your body can take you a long way. You might be surprised with the results! Tell me below, have you tried these strategies in the past and if so how did they work for you? What has pushed you to the next level in your weight loss journey? Previous PostPrevious Does Doing An Elimination Diet Scare You? Next PostNext Which Poop Are You?